Do you want to prepare yourself to pass the CAE exam? 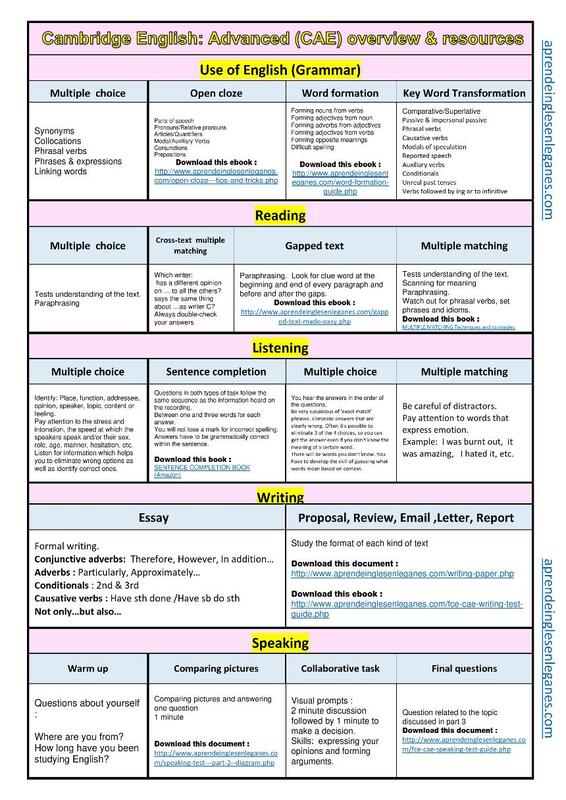 The table below shows at a glance the different parts of each paper (Use of English, Reading, Writing, Listening & Speaking). It also lists the knowledge and skills tested in each part of the exam and includes links to download very useful resources to help you pass the different parts of this test.